The best way to control wieght, of course, is to weighting us, now the question is ... How often we weigh ourselves? 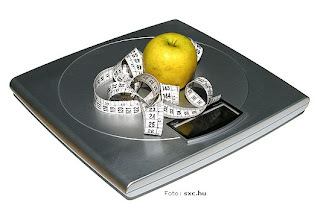 If your weight remains relatively constant, once every few weeks is enough. because the "battle" with the scale is not synonymous with having the right weight, but if you aim to lose a few kilos, not because you have earned, but rather be a little thinner, weigh yourself once a week is more than sufficient. However, if you notice that your body does not fit as easily on clothes you have in your cabinets, you should watch your weight to see what is happening. Remember, the best way to lose weight or maintain weight loss is the combination of exercises with a properly balanced diet, if you decide to do you will notice how your daily life is much more comfortable, you feel beautiful and radiant, you will fear not a fashion that is imposed at the time, feel your body and skin healthy and it seems like you've drunk the water of the youth fountain, and you'll be happy and make happy to every people in your life.